This post is sponsored by Friskies® and the BlogPaws® Pet Influencer Network™. 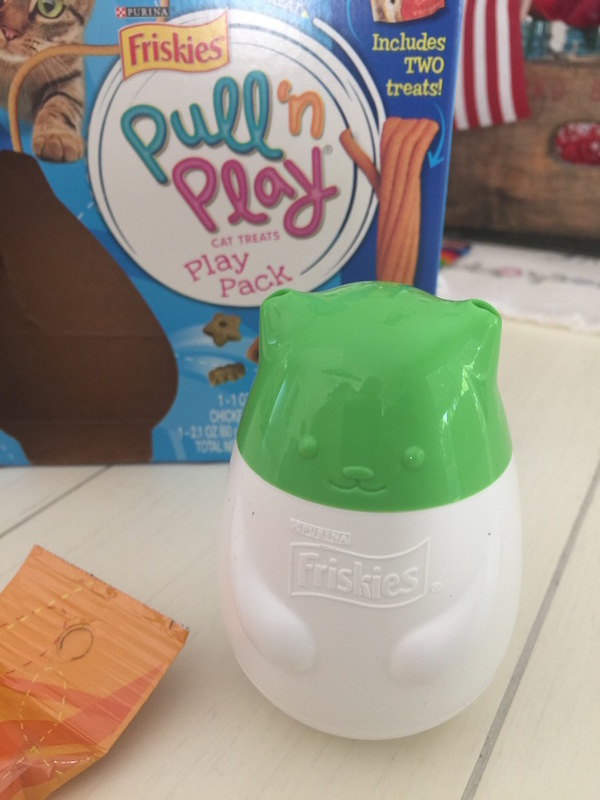 I am being compensated to help create awareness about Friskies® Pull N Play Wobbert available at PetSmart® but we only share information we feel is relevant to our readers. 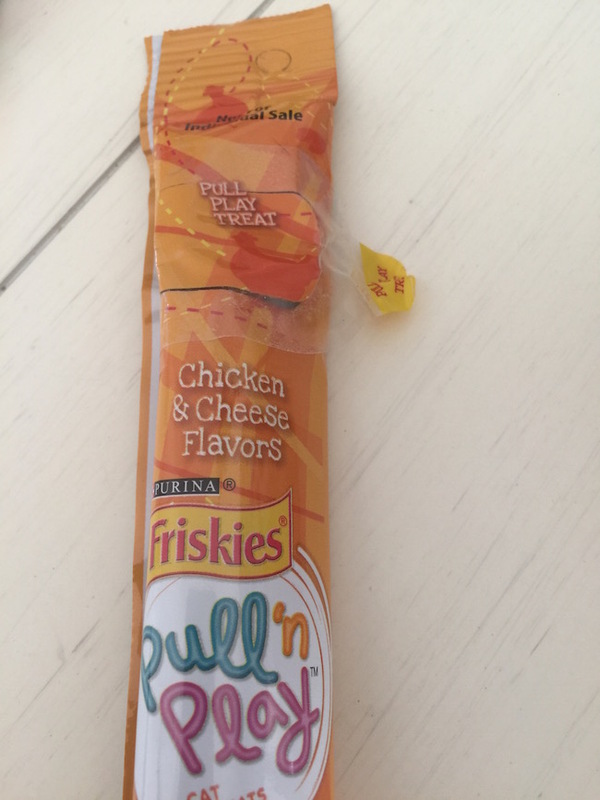 Friskies® and Nestle Purina PetCare® are not responsible for the content of this article. I’ve had cats and kittens all our life. I would be the crazy cat lady if I could have as many as I wanted to. 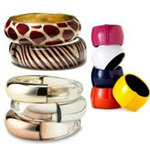 They will be your best friend and are the perfect companion for anybody. 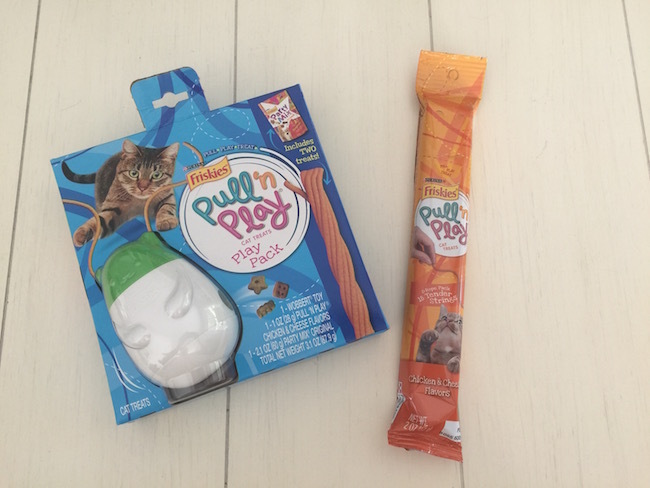 On our last trip to PetSmart (we go at least once a week) we picked up the Purina® Friskies® Pull ‘n Play Wobbert to see what Ms. Kitty thought of it! I could spend hours at PetSmart wandering the aisles and looking at all the fun pet stuff. Have you seen their Halloween Pet Costumes? Too cute! I really didn’t have any doubt that she would love Wobbert the Wobbler or the treats that come with it. 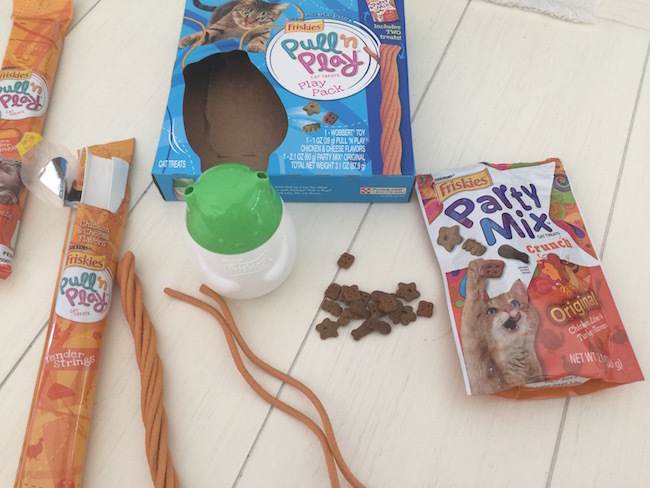 Included in the package are Wobbert, Friskies Party Mix treats and a pack of the edible string treats. 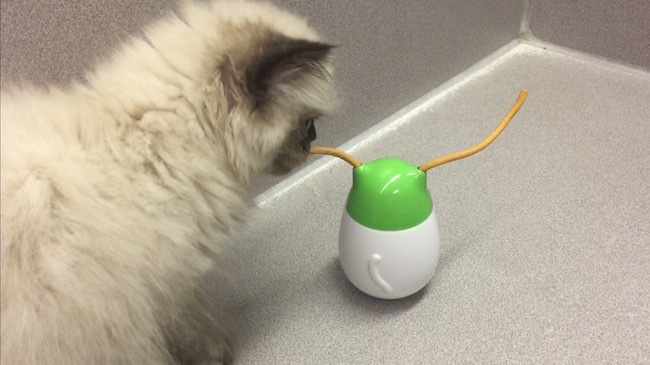 Wobbert is a wobbly cat toy that dispenses treats and tender edible strings that your cat can play with in the process. We picked up an extra pack of string treats but there are 2 ropes in each pack with 9 strings in each rope. Available in three flavors; chicken and cheese, salmon and shrimp and tuna and crab. And they are all available at PetSmart! I like that they have a resealable tab on the package. They do have a Fall Limited Edition Wobbler in Orange at PetSmart but ours was sold out! Available in the cat treat section of the store but ours was on display right up in the front of the store. You can find a location near you to give your cat some fun play time. 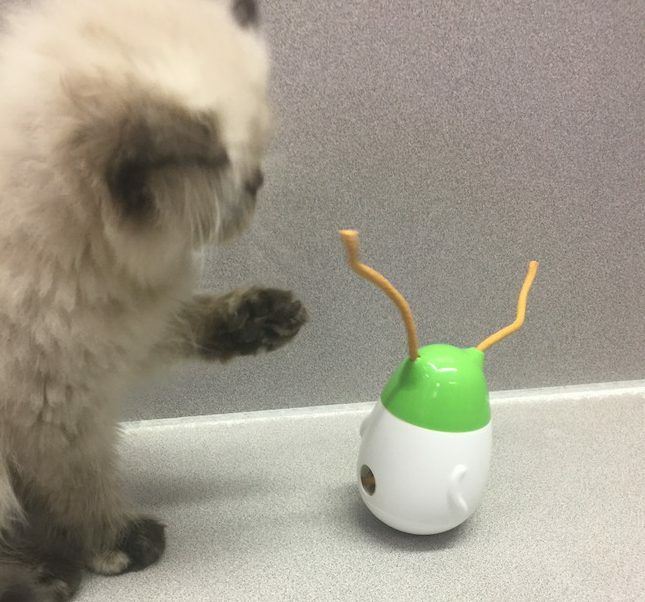 Ms. Kitty was having a ball with Wobbert the Wobbler. She tried pulling the string treats out and it kept her busy for quite awhile. Of course you can take the string treats and play your cat just like that. Connect with Friskies on Instagram and Twitter. 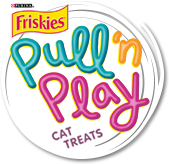 Be sure to pick your Purina Friskies Pull ‘n Play Wobbert up today at PetSmart!